This mattress tape edge machine is mainly used for tape edging of mattress panel, sleeping bag and tent. · Equipped with imported or China-made sewing head according to customers requirement. 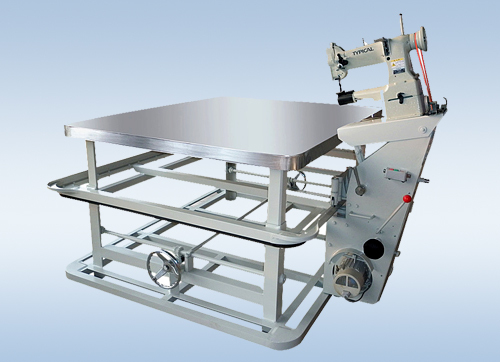 · Hand-controlled lifting table, hand-controlled titling of sewing head. · Hand-controlled speed for moving of carriage and sewing, hand-controlled slowdown at corners. · Straight, enen and trim seam. · Low noise, low vibration, stable performance.